"[This book] provides an excellent discussion of the methodology and interpretation of linear models analysis of unbalanced data (data having unequal numbers of observations in the subclasses), generally without matrices?the author does an excellent job of emphasizing the more practical nature of the book. Highly recommended for graduate and undergraduate libraries." 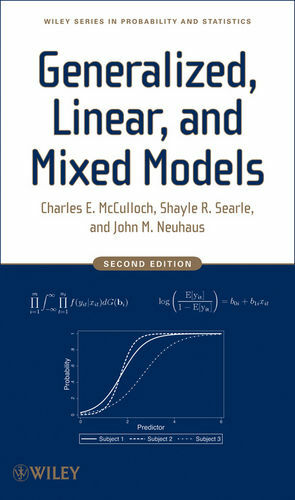 "This is a very comprehensive text, aimed at both students studying linear-model theory and practicing statisticians who require an understanding of the model-fitting procedures incorporated in statistical packages?This book should be considered as a text for college courses as it provides a clearly presented and thorough treatment of linear models. It will also be useful to any practicing statistician who has to analyze unbalanced data, perhaps arising from surveys, and wishes to understand the output from model-fitting procedures and the discrepancies in analysis from one recognized package to another." 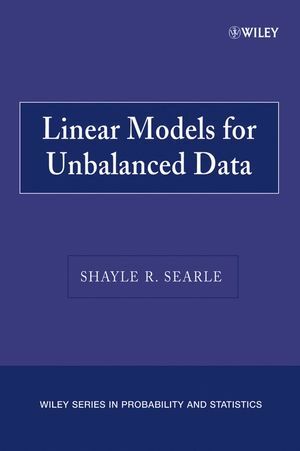 This newly available and affordably priced paperback version of Linear Models for Unbalanced Data offers a presentation of the fundamentals of linear statistical models unique in its total devotion to unbalanced data and its emphasis on the up-to-date cell means model approach to linear models for unbalanced data. Topic coverage includes cell means models, 1-way classification, nested classifications, 2-way classification with some-cells-empty data, models with covariables, matrix algebra and quadratic forms, linear model theory, and much more. SHAYLE R. SEARLE, PhD, is Professor Emeritus of Biometry at Cornell University. He is the author of Linear Models, Matrix Algebra Useful for Statistics, and Variance Components, all published by Wiley. 1. An Up-Dated Viewpoint: Cell Means Models. 2. Basic Results for Cell Means Models: The 1-Way Classification. 4. The 2-Way Crossed Classification with All-Cells-Filled Data: Cell Means Models. 5. The 2-Way Classification with Some-Cell Empty Data: Cell Means Models. 6. Models with Covariables (Analysis of Covariance): the 1-Way Classification. 7. Matrix Algebra and Quadratic Forms ( A Prelude to Chapter 8). 8. A General Linear Model. 9. The 2-Way Crossed Classification: Overparameterized Models. 10. Extended Cell Means Models. 11. Models with Covariables: The General Case and Some Applications. 12. Comments on Computing Packages. 13. Mixed Models: A Thumbnail Survey.